“Wow! It really is 5 Star! After doing our AC-homework last night looking for today's anchorage, we decided we really Had to check-out Ortega Landing Marina to see if it really IS that nice. It is! 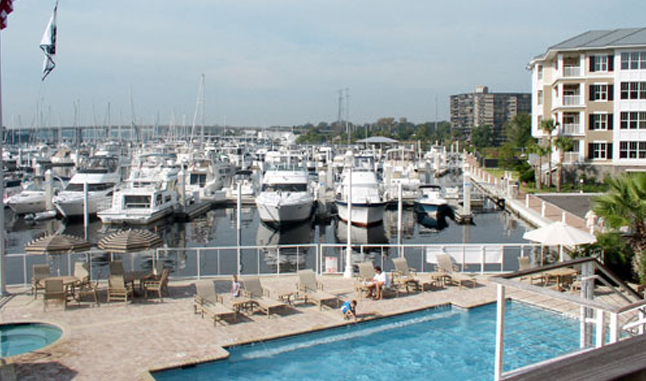 (Frankly we've never seen a marina this nice!) After a tough nine miles up from NAS JAX, we put in to OLM, and were met by Bruce, the harbormaster. Never mind that we're on a 23' Cape Cruiser; they treated us like royalty. Very friendly folks. They have everything but fuel. Bruce referred us to Lamb's about 0.5 miles further up the Ortega River. No food vendors or shopping onsite, but they give you a local map with easily reached businesses (including a West Marine).